So, I’ll give you a brief overview of the book. The system is the one you know from playing DARK HERESY and ROGUE TRADER so there is very little change in how the game work, except that these characters will be far more powerful than the PCs from the previous two games. 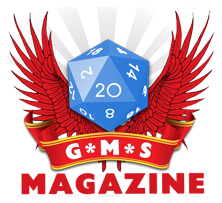 It’s simple enough – a percentage-based system (roll less than your percentage in the skill to succeed) and it uses only two D10s for the roll. Specialities and Talents decide the abilities and skills of the marine you play and helps define your role in the Kill-team. There’s a long section on armour and weapons (including Terminator armour! Yay!) which gives you plenty of toys to play with, followed by a Psychic Powers section so you can play a Librarian and get busy with the mind tricks. And melting.. The Playing The Game section lays out the rules, whilst the Combat chapter gets to the nitty gritty of the game and gives you plenty of options to play with, including plenty of tactical options and critical tables. Following the Game Master section, which has plenty of good advice on how to run a DEATHWATCH game, is a chapter about the Imperium that goes into a lot of detail (including a lovely full-colour map of the galaxy). The book is rounded out by a chapter about the Deathwatch and it’s beginnings and credo, a description of the area of space the players will be thrust into, The Jericho Reach, a decent Adverseries section detailing the foes of the Imperium (including a section about playing ‘hordes’, in which GMs can create great groups of creatures/enemies and roll them as a single group, so the PCs can cut a swathe through dozens of enemies without having to roll for every single one of them) and an adventure, Extraction. The DEATHWATCH rulebook handles this very well. There are entire sections on how to define your marine’s personality. It gives you options as to your heritage, allows you to choose what kind of world you heralded from and what kind of background/upbringing you had that lead you to becoming a Space Marine, to be surgically and genetically altered and enhanced to become one of the Emperor’s finest. You could have been a hiver or a noble, a savage or a religious knight… there was a reason you were selected for the Space Marines. Of course, your indocrination and training will make you think the Space Marine way but these details about your past help to define the small things about your character. The ideas don’t stop there – why were you selected for Deathwatch? What does such a posting mean to you? What do you desire, what do you hate? These questions help define each Space Marine as a singular character instead of being a cardbord cutout, a production line soldier who cares very little about anything other than purging and cleansing for the Emperor. These questions do make you think about your marine and why he does the things he does. In some ways it even makes you question if they actually want to do this! That way of thinking could lead to traitorous thoughts, but what a game that would make! As a fan of the Warhammer Roleplay worlds and a player of the ROGUE TRADER RPG this book mightily impressed me, even if I felt that the book could have done with more material regarding the things the Space Marines go up against. But, not only does it open a whole new area of the WH40K game world to roleplay in, I’ve also got the perfect material to make my ROGUE TRADER players nervous when they’re instructed to transport DEATHWATCH Space Marines across the Imperium! An excellent addition to the WH40K Roleplay range.